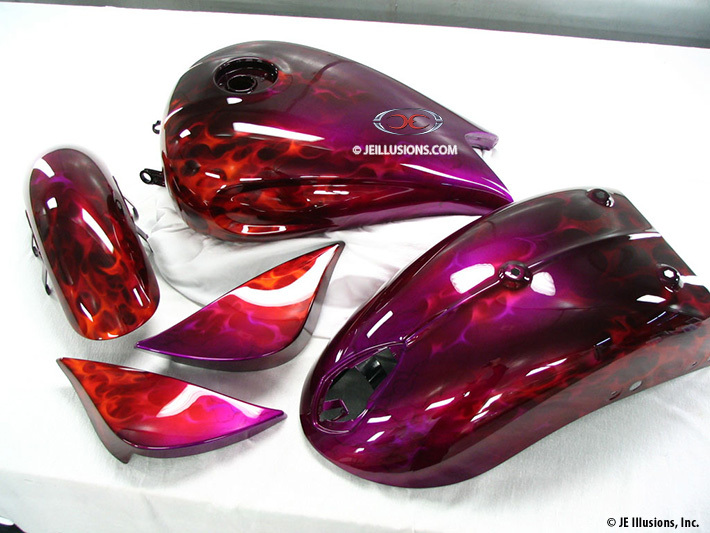 This set began with a vibrant fuschia kandy base followed by a very detailed color blend. 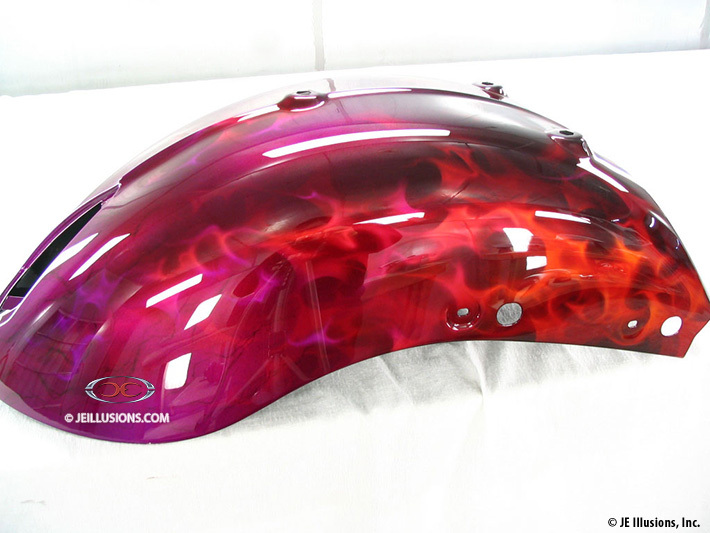 Hand airbrushed layered realistic flame effects were then added near the top and trailing back for added depth. 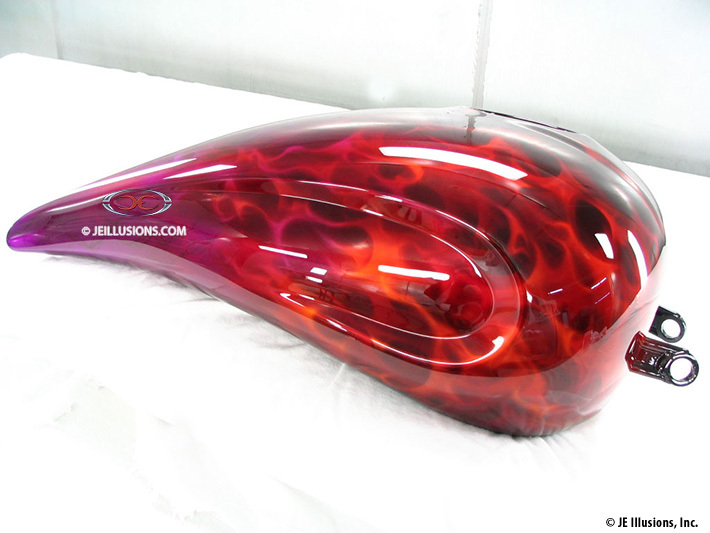 The flames run down the tank and fenders. 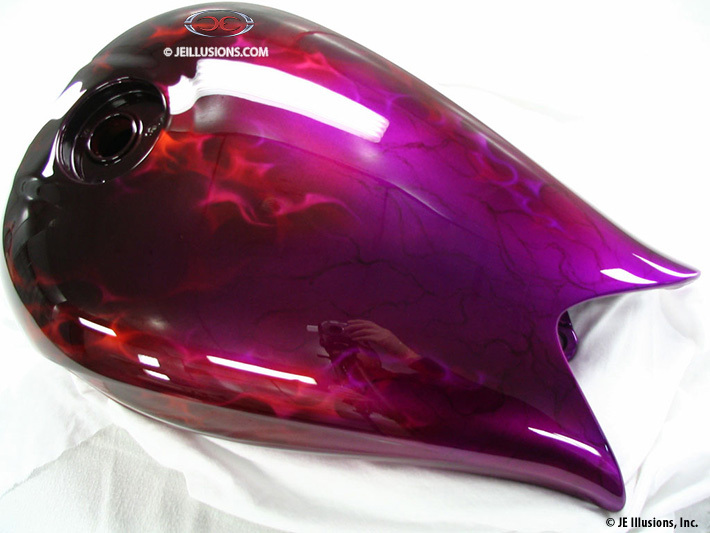 Then we wet-sand the coating to achieve a lusturious, deep high gloss look that adds even more depth to the colors, as if you can dip your fingers into the paint itself!